For almost 90 years, Davis Brown Law Firm has provided comprehensive legal services to Fortune 500 corporations, multinational corporations, insurance companies, not-for-profit groups, the state of Iowa and its agencies, start-ups, and companies operating in highly-regulated industries. The Davis Brown Insurance Department is an experienced team of professionals who pride themselves on providing top-notch representation to insurance companies and their insureds, as well as TPAs. The team acts as panel counsel and major claims counsel throughout Iowa and the Midwest, and represents clients in both federal and state court matters. 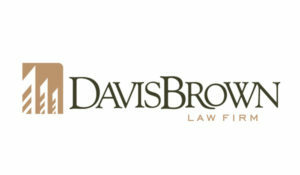 Davis Brown insurance attorneys have extensive trial experience and a wealth of expertise in appellate advocacy. The team is trained and experienced in alternate dispute resolution, including arbitration, mediation, and summary jury trials, and has favorably settled numerous cases before trial to the benefit of insurers and their insureds.